The Michigan rapper Nametag has officially changed his name to Tag Alexander. 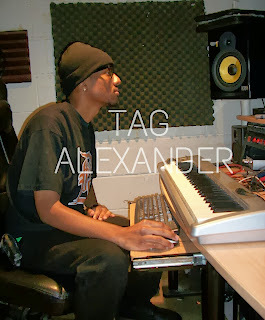 He states "This is is something I've considered since before the release of my first LP, "The Name Is Tag". I am confident with my decision with the name change and also excited for you all to hear the new music I have in store for 2014 and beyond. Of course, music is still available under the Nametag alias like the current "For Namesake" LP, etc. but moving forward."